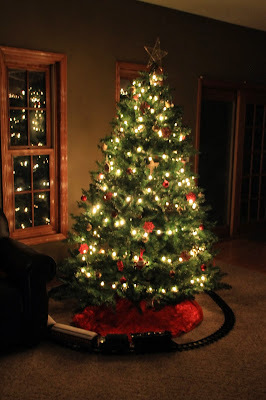 As if Christmas weren't dramatic enough in my household, last week's agenda was cut short by Joel taking a turn at our family's stomach flu epidemic while I suffered from a nearly hallucinogenic migraine headache. And because that was not quite exciting enough, our neighborhood was blanketed in a thick layer of ice on Thursday, and on Saturday night, several inches of snow. While our winter wonderland is very pretty and a nice reassurance of a white Christmas, it has made traveling difficult, and we've been forced to find entertainment closer to home. And what better entertainment is there on a snowy day than sledding? 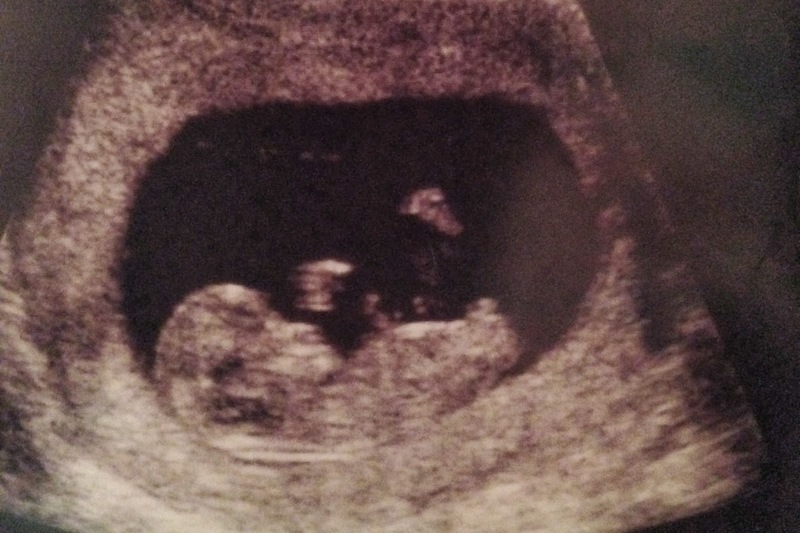 With two small children and one pregnant woman, there are probably better, safer choices. But this isn't a story about being responsible. This is a story about a black diamond-grade sledding hill, and how we put our kids on slippery surfaces and sent them careening toward the bottom. Joel had heard about a particular hill known for very fast and steep sledding passes, so we drove (slowly) across our little town to ride the hill. I even thought that, provided there was no risk of running into anyone, I might be able to take a turn myself. But as soon as I stood at the top and felt as though I couldn't see the bottom for the clouds at my feet, I knew it wouldn't be an option for me. But for my innocent children and fearless husband? Bring it on! Joel rode with Graham for the first pass, because our littlest wanted to go but was afraid to attempt it alone. I wanted to record their descent, but the drop was so steep (photos do not convey) that when they sat down, they immediately began sliding before I even had my camera out of my pocket. They shot down the hill faster than my children run from asparagus. But they were safe, had fun, and I was able to catch a couple of photos of them climbing back up to the top. Five minutes later they were still climbing. Eight minutes after that they'd ascended maybe three feet. And very quickly we realized that the real risk of sledding on this hill was not the danger of reaching the bottom, but paying the medical bills from the massive coronary suffered on the trip back up. So when it was Cael's turn, we sent him solo. He was fine, and I got a nice clip of his wipeout at the bottom. And he had so much fun that when he army-crawled back up and dropped the sled when he'd nearly reached the top, we simply laughed and headed home to the gently graded safety of our own yard. In the end, it didn't matter that our sledding escapade got cut short, or that it would have been easier to build a snowman with baking soda than with such fluffy snow. In the end, what really mattered was that no one threw up. Oh yeah, and that we were together. "Mom, I think I know why Santa has such a big belly." "Oh, really? Why is that?" "Because we leave cookies and eggnog for him every Christmas. And if he eats cookies and eggnog at everybody's house, he'd be huge!" "I bet you're right! He needs to eat better for the rest of the year or he won't fit into his sleigh." "Yeah. You should be careful too, Mom. I saw you eat one of those cookies you made this morning and you won't fit into the van if you keep doing that." Do you ever feel like, when you set out to teach your children something important, your bad luck and their limited social skills conspire to embarrass the heck out of you? Last week I was out with the boys running a few errands when we decided to duck into HyVee to grab a few grocery items. 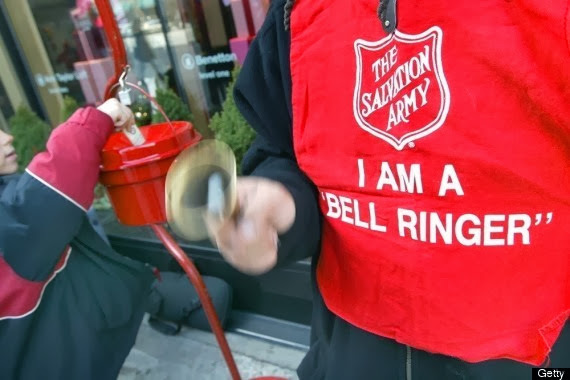 As we approached the entrance, Cael noticed the Salvation Army bell ringer and asked me what he was doing. 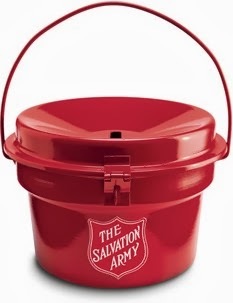 I tried to explain that there are many families that don't have as much as we do, and that the money people give goes to help those families all year, and at Christmastime specifically. And then I thought there was no better lesson than to let them put some money in the bucket themselves, knowing that they not only love to take my money whenever possible, but that they also love to throw it away, whether in a mall fountain or in a video game at Godfather's Pizza. So I fished around in my wallet, only to find that I had literally nothing in my coin purse, save for one earring and a plastic coin that goes with Graham's cash register toy. "Oh, I guess I don't have anything now, guys. We'll have to do it another time." "Okay, Mom. But what about the kids with no presents this year?" The guilt trip wasn't needed. I felt guilty enough for having nothing to give and for missing a chance to teach my kids something valuable. We headed inside to collect our groceries, and on the way out I swiped my debit card to pay for my green beans and french bread. And it was when we were walking by the bell ringer that it happened. "MY MOM DOESN'T HAVE ANY MONEY FOR PEOPLE AT CHRISTMAS!" What could I say to that? Not only was it true that I had no cash, but my face was as red as the ringer's bucket, so I grabbed their hands and tried to hustle to the car. But Cael wasn't finished until the job was done. Loudly. "But Mom, how come you had money for groceries, but not for people who need it?" Touché, Cael. Aren't my kids oh-so lucky to have a mother who will teach them the important things in life, like ranking pistachio ice cream above making a difference? Sometimes I think this blog has magical powers. But like most crazy (or maybe just exhausted and misunderstood) people that think they have that gift, I can't seem to harness my power for good. In the past, I have made mentions of house floods and within days, the carpet is inexplicably soaked and I curse myself for not knocking on wood. When I comment that the boys are behaving well, they respond by trashing the basement and peeing in the laundry baskets. So with these sorts of experiences under my belt, I really should know better, right? Remember how I posted the other day about how it can be a nice break when my kids are feeling under the weather? The fates (or maybe this sinister blog) thought that was a perfect segue to test my parenting skills in the face of stomach flu. I got a phone call from the school before lunchtime on Thursday requesting that I retrieve Cael after he had gotten sick in a hallway trash can. After scrambling to get my day care kids picked up, I got him from the school and drove him home, listening to his proclamations that he wasn't going to get sick again. Instead, I spent the duration of the day emptying his bucket every 30 minutes and doing my best to keep the kids separated. But just as I explained in that fateful post, when Cael gets sick he is not his usual, energetic self. He wants to snuggle. He wants to sleep near me. And, germs be damned, he wants to touch my face all the time. So my Thursday and Friday were spent fending off gastroenteritis and systematically disinfecting my whole house. And I deserve some serious kudos, because no one else in my family got sick. All that is left for me is to learn from what has happened. This blog clearly doesn't work like a genie's lamp. I cannot simply ask for what I want and hope it happens. Instead, if I think something is beyond the realm of possibility (and say so), I might have a very tiny chance. Except for winning that mega-millions jackpot. 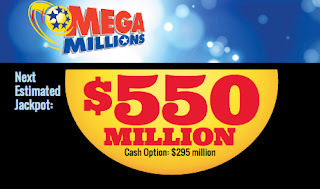 That $550 million could NEVER, EVER be mine. Not ever. Okay, I'm just going to go ahead and say the thing we're not supposed to say as parents. You won't judge, right? It's a nice break when my kids are sick. Would I prevent it if I could? Absolutely. Would I prefer them to be healthy? Of course. But alas, I don't control the fates any better than I can control my own hair, so I figure that there is no harm in enjoying the few benefits that may come with a cold that leaves my boys a bit under the weather. First, the snuggles. Oh, how they want to sit on my lap and have me rub their backs, or stroke their hair just like when they were very little. And as long as I am able to steer clear of the clammy head/runny nose region, I get as much contentment out of the experience as they do. Secondly, my boys are never as agreeable as when they are under the weather. "Cael, would you please eat your broccoli?" "Graham, are you ready to take your nap?" But the best, most tolerable and, dare I say enjoyable parts of their suffering is that neither of my offspring are in any condition to continue their campaign for the systematic destruction of my home. On any given morning, I dread descending the fourteen stairs to the boys' bedroom and family room, where they have likely been awake since dawn dumping out toilet water and throwing projectiles at the moving ceiling fan. When they first begin to feel ill, their antics are somewhat less physical, the boys opting instead to somehow access and poorly alter the system settings on our computer, but when their colds are in full force, they simply sleep. I get to sneak quietly into their room and rouse them gently, kissing their faces and nuzzling their sleep-matted hair as they cross from asleep to awake. They reach for hugs again, and they ask about medicine. In short, when they are sick, they need me again. But as much as I savor those sniffling moments of closeness, I want them healthy. I want them to go to school and learn; to run and play. So instead of saying the things I'm not supposed to say, I do the things a mom is supposed to do. I wash their hands, take their temperatures and push the fluids. And before I know it, I have to smile (and sigh) when I see underpants hanging from the fan and feel water under my feet. Because, after all, a mischievous boy is a healthy boy. 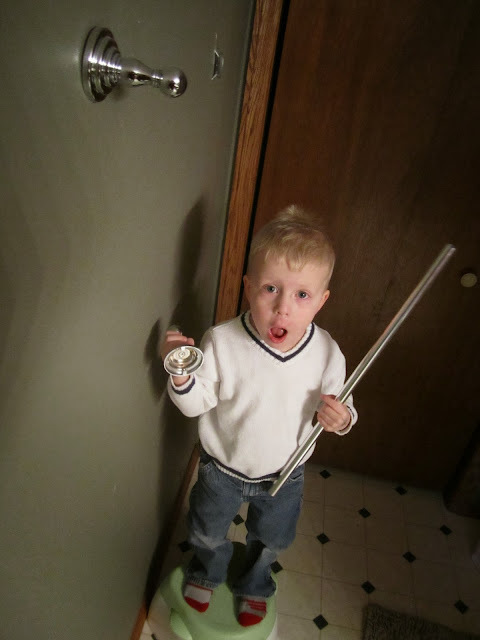 "Mom, Graham was swinging on the towel rack and it ripped out of the wall!" "Mom, why do you hide the candy?" "Because if you know where it is, you and your brother get into it without permission." "How come you don't need permission to eat peanut butter cups?" "Because I'm a grown up. When you're a grown up you can make your own decisions. Plus, I know that I will eat lots of fruit and vegetables too, but I'm not so sure you will." "Well then I guess you'd better find a better hiding spot." "Graham just finished that bag of peanut butter cups. Should I take him some green beans now?" I still maintain that there is no time of year more beautiful than Christmas, and I love the soft glow inside my home as the tree lights up the room and our faces. But sometimes, in a house full of troublemakers, I do long for January. All over my dog and in my hair. Thy leaves are plastic and scratchy. A fifty would be even worse. Graham's socks are not an ornament. Why won't my cat stop climbing you? Or does he want to see the sights? Where did your sparkling balls go? Behind the toilet another's there. Graham'll chuck your pieces in the bin. Just hang in for a few more weeks. 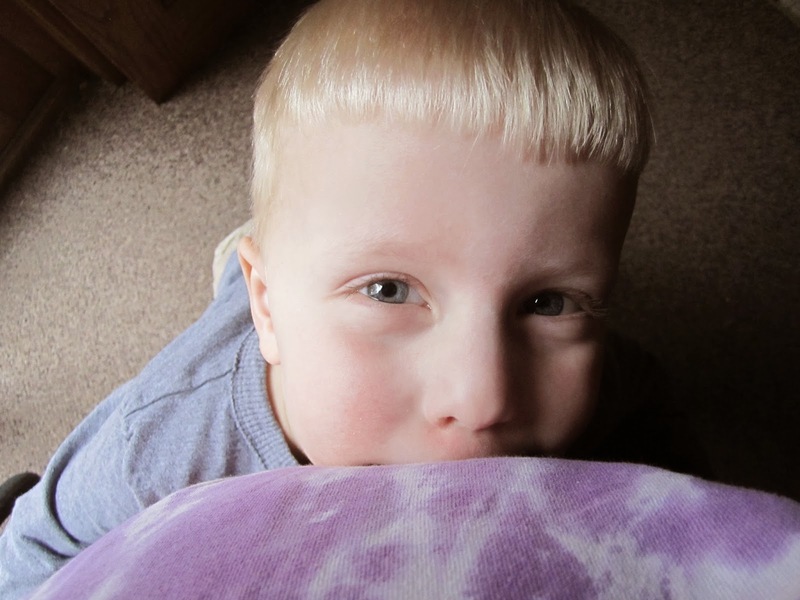 While I am exceedingly grateful that my kids are generally healthy, and we don't have to worry about chronic problems of any kind, it does get frustrating that Graham's body reacts to every passing germ with an instantaneous fever. But for as irritating as I find this response, Graham is good-natured about the whole thing. "I know, Bubba. I can give you some more Tylenol in a little bit and that should cool you down." "No, that's okay. It's cold outside but if I am hot, then it feels like summer. Maybe I'll go swimming." As the kids adjust to the idea of a new baby on the way, Cael has responded with excitement while Graham has responded with questions. Lots of questions. Weird questions. "If the baby is a girl, will I have to be a girl?" "I don't want you to go to the hospital to have the baby. Can't you just do it at Walmart?" "How come you don't swallow and eat the baby if it is in your belly? Will you poop it out?" I was trying to think of ways to get him more involved, short of being present in the delivery room, because, NO, and I had the fabulous idea to let him start talking to the baby so it might recognize his voice. The only problem with this theory is that, with my unusally close family around each other daily, this baby will develop while hearing twenty different voices on a regular basis and may just emerge with a seriously distorted sense of self or a tendency toward tawdry daytime talk show appearances. "Graham, did you know that the baby can hear your voice? You can talk to it if you want. He or she won't talk back, but they can hear you." "Whatever you want. Tell the baby about your day, or what you like. You could tell it all of the things you can do together when it is older." "That's my foot. No baby in there. Aim for my tummy?" And then I realized just how confused the kid must really be. "Hi baby! I'm your brother and I ate a peanut butter and jelly sandwich today on a green plate. I like the orange plate better but Cael had that and he always gets the good plate. Maybe when Cael is in school I can have the orange plate and you can get stuck with the green plate. Or maybe we'll have a purple plate. We could watch Curious George when you are out of my Mommy's belly. Where is your Mommy? My Mommy is nice but she won't let me have more than one piece of candy out of the Christmas train so then I think she's kinda mean. Is your Mommy mean? I love you, baby! I'm Graham, remember? I'm going to stay a boy. Please don't hurt me when you come out." I'll just book our visit to the Jerry Springer show now. Stay tuned for dates. I hope that everyone had a great Thanksgiving, full of family, friends and turkey. As I mentioned a couple of weeks ago, the most important part for me is the stuffing, so despite the buzz about our new turkey fryer and the unsuspecting bird that we served up, I was happy to sample bits of the umpteen side dishes we crafted and dig into a vat of those tasty bread cubes. I wish I'd taken a picture of that plate. For that matter, I wish I had taken any photos at all to remember our meal together. I suppose if I had, however, you wouldn't have seen the fifteen of us smiling calmly, poised with forks in hand. Here's what you probably would have seen. You would have seen me corralling all of my boys (Joel included) to the basement to watch the Macy's Thanksgiving Day Parade. You would have seen that not one of them cared, Cael and Graham happier to tackle one another and wrestle Daddy than watch the big balloons. You would have seen me give up and head to the kitchen to start cooking, only to overhear Cael say, "Graham, you start walking and I'll yank you down SUPER hard like you're up in the air on strings!" And you'd see me roll my eyes when Graham responded with, "Okay, Cael! Pull me down!" You would have seen me in my glasses and pajamas running frantically around the kitchen until 5:15pm when I saw the first headlights turn into my driveway. It was at that point that I finally got dressed for the day, hair and makeup done, and not one member of my family was rude enough to tell me that I had chunks of pecan pie goo stuck in my hair. You would have seen us fanning ourselves and opening windows to counteract the lava-like heat of the oven, stovetop and toaster working in unison. You might have also seen me at 2:30am, getting up to pee for the 67th time and wondering why the house was only 59 degrees, until I awoke from my stupor and shut the windows. You would have seen the teenagers sigh after being caught texting in their laps during dinner, and you would have seen the adults, full and happy after supper, sitting in companionable silence as we all zoned into our phones. You would have seen Cael gobbling up his plate of food in a spectacular fashion, as if his chance at pie was on the line, and Graham, alone at the table 55 minutes later pushing around the same six pieces of turkey that were placed on his plate at the beginning of the meal. You would have seen me doing dishes and not paying attention while my dog devoured a turkey thigh and what looked like a wooden spoon. You would have seen Sarah and I laughing hard enough to wipe away tears while sorting through my Mom's old jewelry box filled with gaudy 80's necklaces and enough pins and brooches to stock a jewelry counter. You would have seen us double over when we discovered that one of the drawers was filled with her children's pulled baby teeth. If I'd remembered to take some pictures, you might have seen it. But instead, I was too busy cooking and eating and laughing; making memories. I hope you had a photo-free Thanksgiving yourself, and I hope you left some stuffing for me!